You need a powerful software for drawing a Metro Path Map? Use the ConceptDraw DIAGRAM diagramming and vector drawing software extended with Metro Map Solution from the Maps Area. Make sure that it is what you need. 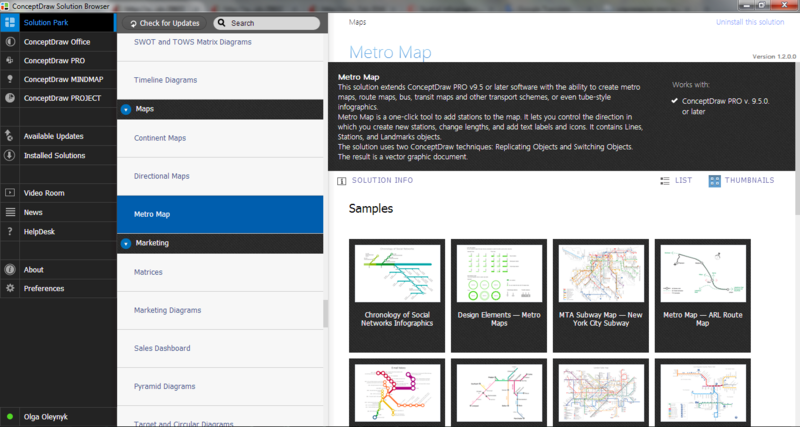 The simplest way of Metro Path Map creating is to open the ConceptDraw STORE and to choose one of the samples or template offered by Metro Map Solution. Then you can simply make some changes in it according to your needs. 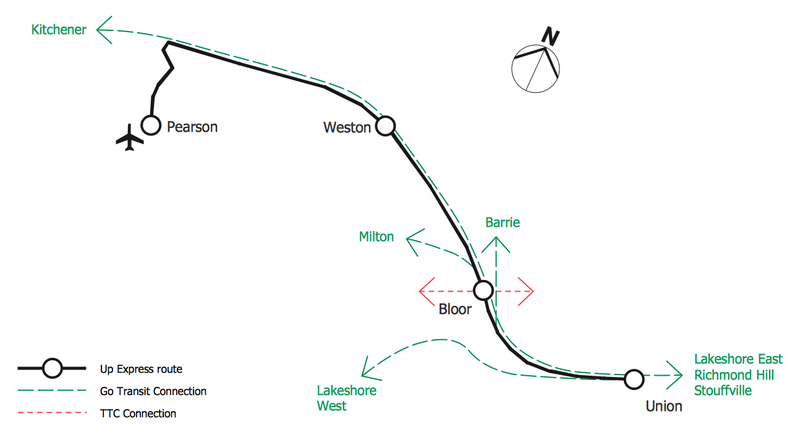 Designing a Metro Path Map, use also ready vector objects offered by Transport Map library from the Metro Map Solution. The Metro Path Map samples you see on this page were created in ConceptDraw DIAGRAM software using the predesigned shapes from the Transport Map library of Metro Map solution. They successfully demonstrate solution's capabilities and professional results you can achieve using it. Use the tools of Metro Map solution for fast and easy drawing any Metro Path Map you need. 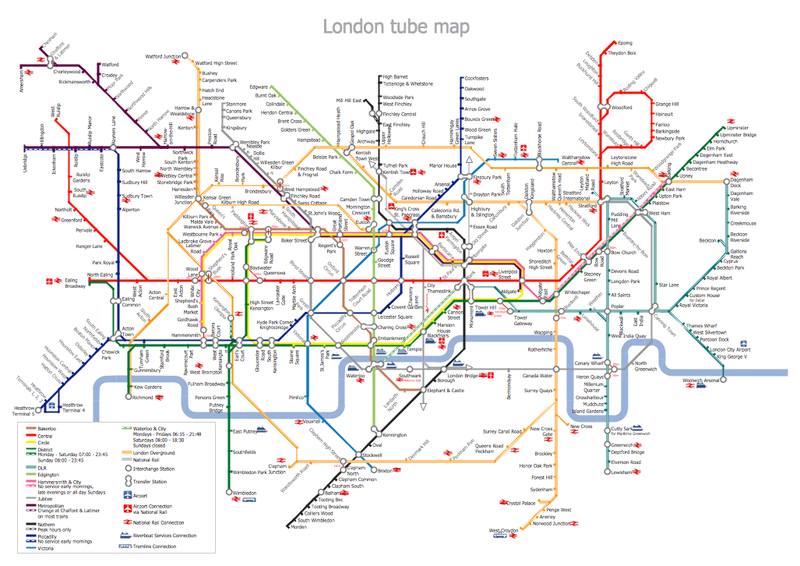 You want create a Subway Train Map fast and easy? Use the excellent tool - ConceptDraw DIAGRAM v12 diagramming and vector drawing software. Extended with Metro Map Solution from the Maps Area, it is the best for drawing various types of metro maps.